3. Create a twill-weave effect on the plaid design using red and gold acrylic paint. 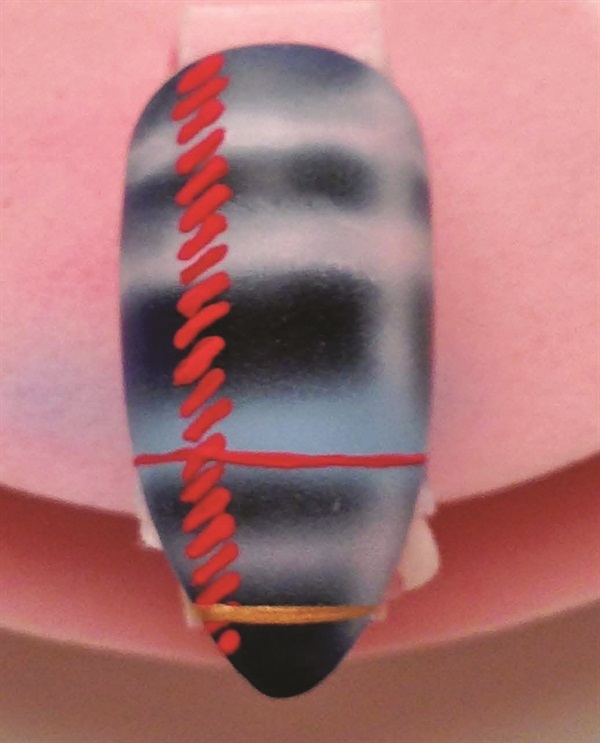 Add red vertical dashes on the left side of the nail and paint a couple of horizontal lines on the bottom half of the nail over the airbrush stripes. If you’ve got an unsteady hand, use striping tape to help paint fine lines. 4. Apply base gel over the design and cure for 45 seconds. 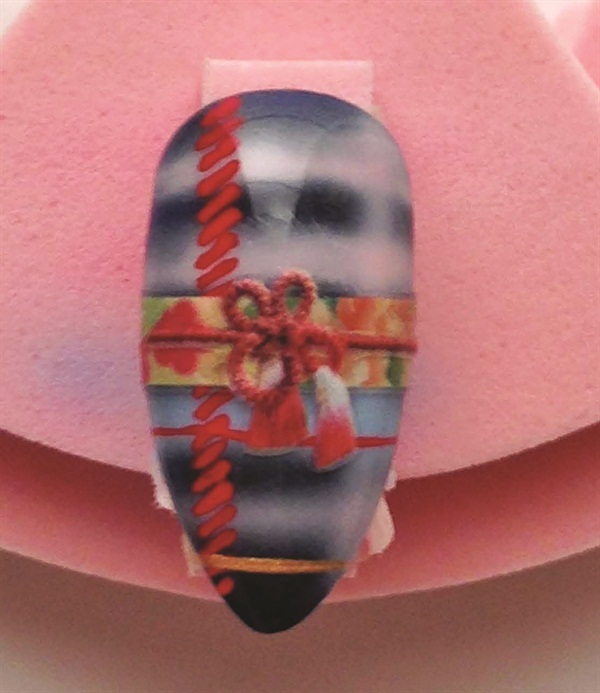 Sasaki recommends sealing the nail art design with a layer of base gel to ensure longer wear of the design. 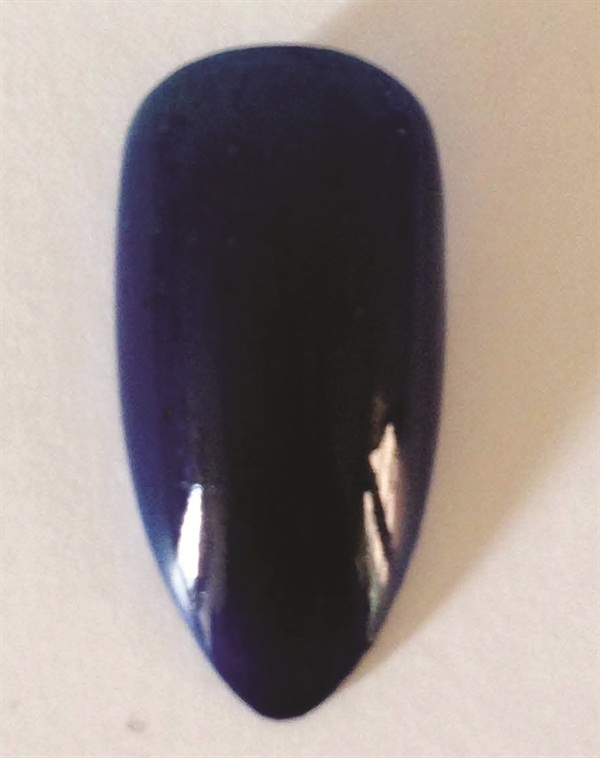 Wipe the nail with alcohol and paste a Sha-Nail Pro Nail Grafx sticker on the center of the nail. 5. 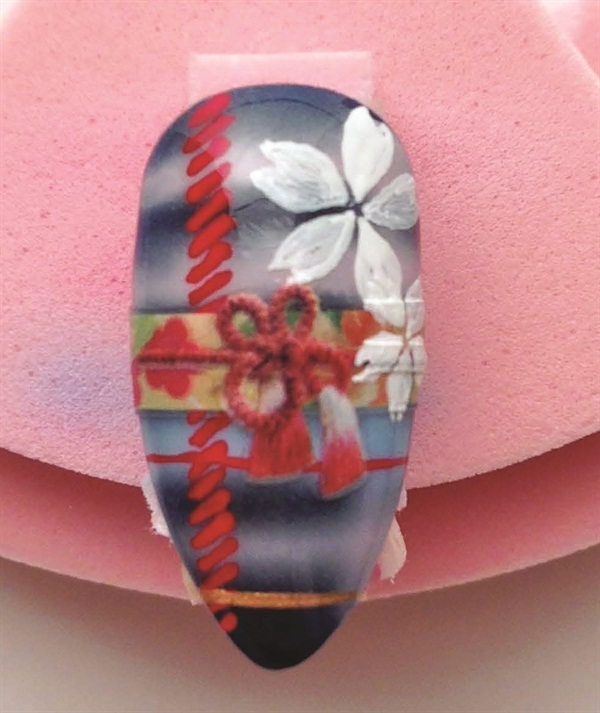 Using the five-dot flower method, paint different size cherry blossoms with white acrylic paint on the top right corner of the nail. To make a more defined flower, paint a V at the tip of the petal. 6. 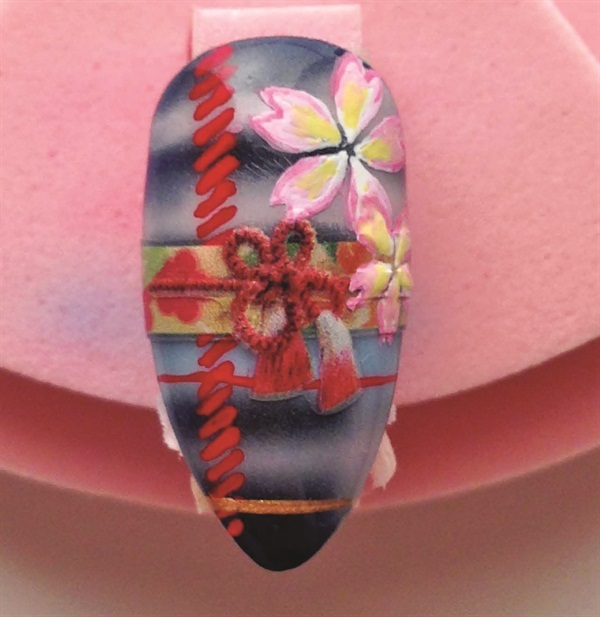 Add color to the flower by painting the outline of the cherry blossom using different tints of pink. For more dimension, paint the center of the petals yellow with acrylic paint. 7. 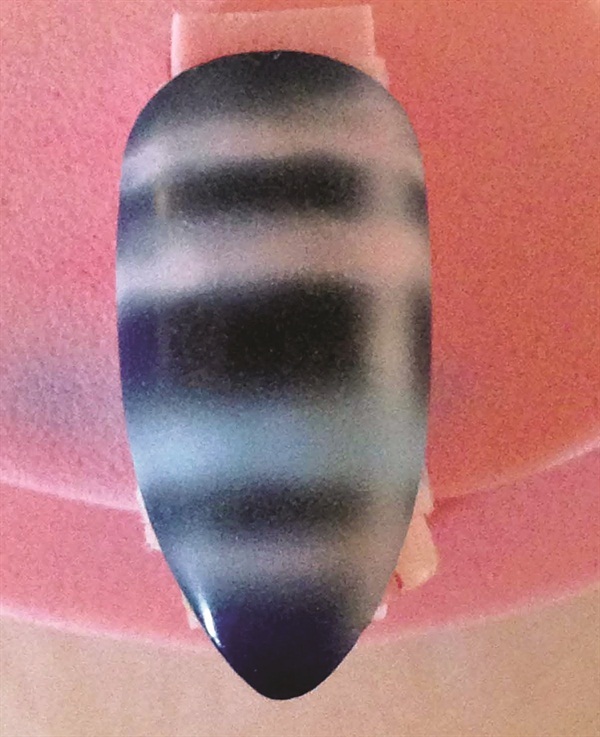 Apply gel base coat over the design and cure for 45 seconds. 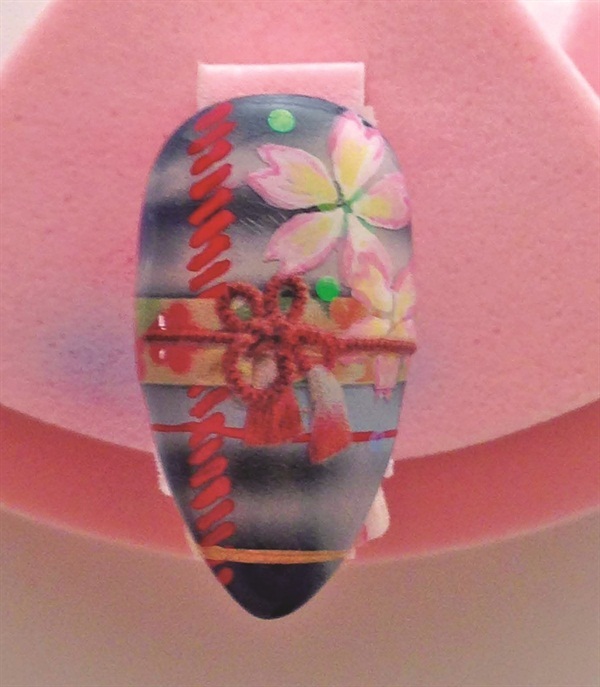 Place holographic sequins on the center of the cherry blossom and around the flower. Apply gel top coat and cure for 45 seconds. Wipe with alcohol for a final clean up. 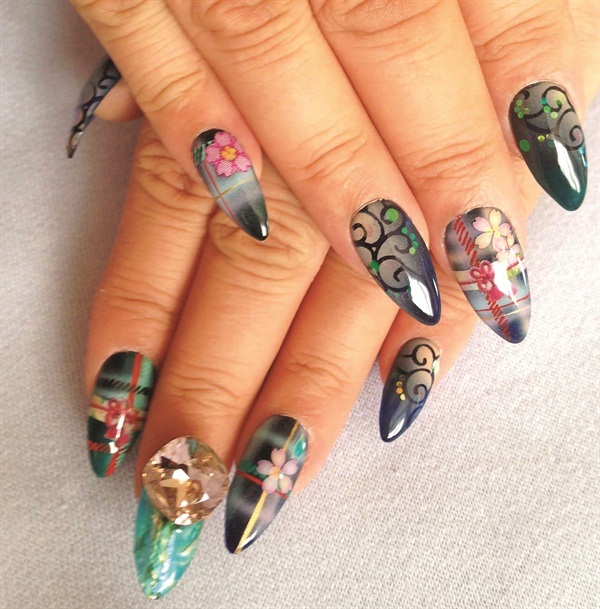 For a more abstract look, create different patterns on each nail.